It is a platform with a vast potential and capabilities. Add to this a free access and you end up with a fantastic playground where creative folks can set up interesting experiments, try out new techniques, brainstorm problems collectively and simply show off skills. 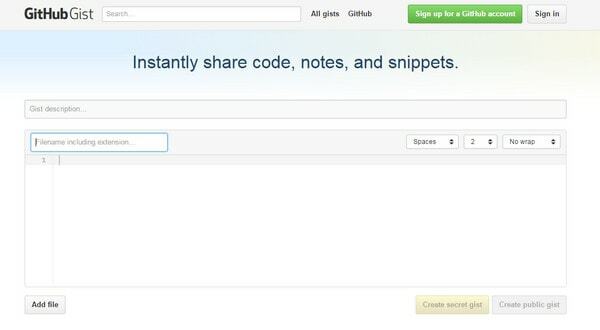 We have compiled a list of 10 outstanding places to share code snippets quickly. So if you are dying to get started, just select the best medium for you. Codepen is a developer favorite that houses thousands of enthusiastic coders and their inventions. To enjoy extra benefits, such as private sharing, you have to sign up, however if you need to quickly compose a code snippet you can hit the “New Pen” button and get to work. With strong support for such famous boilerplates as Bootstrap, Foundation, Materialize, SemanticUI, Skeleton and some others, Codeply is an excellent place to craft responsive designs, widgets and components for these frameworks. You can use predefined layouts, snippets and elements right from the editor to enhance projects. There is also an online gallery with work released by members. Dabblet is a great instrument when it comes to breaking tasks into separate parts and visualizing results individually. There are five different types of previews (CSS and Result, HTML and Result, CSS and HTML and Result, JS and Result and all together). They improve the workflow from various angles. Unfortunately, the list of features is not as impressive as in Codepen. However, you can remedy this by manually inserting all the required libraries. It is simple, straightforward and won’t overwhelm you with numerous tools. 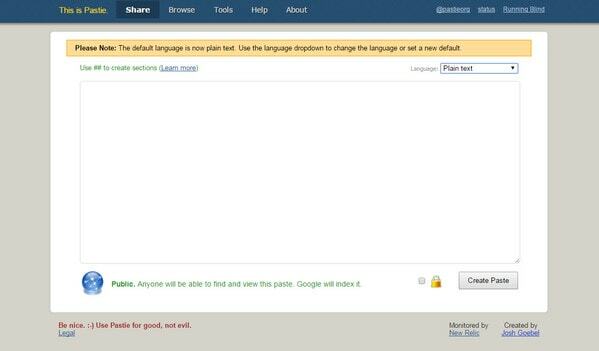 Four neatly arranged fields allow writing HTML, CSS, and JS code independently and contemplating the result of their collaborative work in the preview window. What’s more, if you sick and tired of the default dark theme of the UI, you can switch to the light skin. Pastie is a primitive instrument that’s an alternative to basic sharing tools. If you need to quickly compose a code snippet and share it with others, you can avoid all the fuss inherent to the enormous and powerful editors and just get down to business. It offers a clean user interface with solid syntax highlighting. Just set up the language and the service will do all the heavy lifting. Although maybe it is not a traditional playground with a live preview, support for pre-processors and pre-installed libraries, however, it is still an elegant way to write and share fragments of code. Nice list, but you kind of forgot JSBin. Nice collection Nataly. Thanks for mentioning my editor Codeply.